A resume-based interview (also known as a traditional interview) is when the interviewer asks questions that focus largely on the candidate’s experience and educational history. While they are becoming less popular as a means of making a final hiring decision, traditional interviews are still highly useful tools for initial candidate screening and background gathering. Read on to find out how best to leverage the resume-based approach and learn more about the difference between traditional and behavioral interview questions. 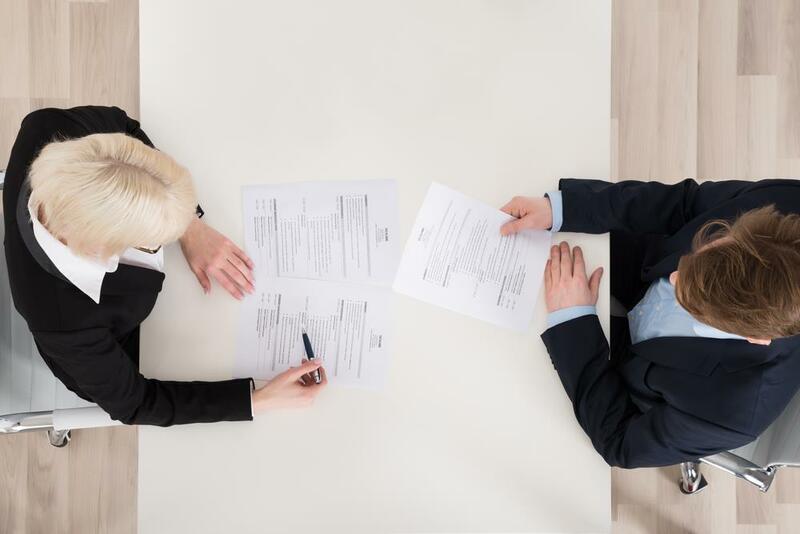 Resume-based interviews are typically best for initial conversations with applicants because this strategy enables you to confirm details about an individual’s background information and qualifications. Digs into the candidate’s history and provides detail about prior performance and successes. Can easily be performed over the phone or via video-chat for long-distance job applicants. Assesses when and to what extent candidates have used certain skills in the past. Easily standardized questions for all candidates minimizes time spent preparing for individual interviews. Candidates typically know what to expect and have prepared answers ahead of time. Doesn’t give much insight into the candidate’s problem-solving abilities. The two weaknesses listed above highlight the basic difference between traditional and behavioral interview questions. Behavioral questions are more position-specific, and interviewees are less likely to have prepared for these ahead of time. They also focus on how the candidate has approached challenges in different situations, while resume-based questions typically focus on results. Set aside time for a thorough read-through of the candidate’s application materials. If you think of any questions as you’re reading, jot them down. This is your chance to ask about any achievements, short terms of employment, or past positions that you’d like explained more fully. You should also dedicate time to familiarizing yourself with the key aspects of the job description. What skills and qualifications were listed as “required,” and which were “preferred?” What tasks will your new hire need to perform on a regular basis? You may even want to loop in specific team members from the appropriate department to get an accurate picture of what the ideal employee for this position would bring to the table. Develop an organized notes sheet that you can print out for each interview that includes the candidate’s name, date/time of the meeting, the interviewer’s name (if interviews are being conducted by more than one HR professional), and a list of the questions you will ask. The majority of your questions should be the same for every person you meet with; however, one or two may be unique based on individual resumes or other application materials. When preparing your questions, make sure to integrate multiple approaches. Resume-based interview questions are useful, but can also be extremely limiting. By understanding the difference between traditional and behavioral interview questions—and utilizing both approaches—you can gain a more comprehensive picture of your candidate and the value they may bring to your company. Expert interviewers know they must let the candidate do most of the talking. Although most resume-based interview questions tend to be formalities, it is essential to give the interviewee time to consider each question. Be sure to leave a little space after their answer to ensure you don’t accidently cut them off in your eagerness to move to the next item on your checklist. It is also important, however, to know when you should speak up. Use your knowledge of the job description and ideal qualities of your future hire to prompt candidates for further detail if their initial answers didn’t quite touch on the qualification you were trying to assess. Once the meeting is over, it can be tempting to immediately file away the notes you took during the session. However, you can save yourself time and work down the road by taking five minutes after the interview to review what you wrote. Add extra detail and explanations to the thoughts you jotted down during the interview to make sure they still make sense when you read them in two weeks. Finally, write any last comments or thoughts you have about the candidate on the bottom or back of the page. Understanding traditional interview pros and cons will allow you to plan the perfect interview. By using your time and questions as strategically as possible, you can easily identify top talent. With the strategies outlined above, you will soon be sending a job offer to your next great hire!